Just like a home or an office, a data center must be cleaned. Cleaning is not just to make it visually appealing, but to keep a data center running properly and efficiently. Data center cleaning may not sound like a high priority on the list of important things to consider with a data center. Most people probably think about things like rack density, preventing downtime, and heating and cooling issues. But cleaning a data center properly and routinely is incredibly important. When a site has visible dirt, or chemical odors, it is a major concern because it could mean there is chemical build up or problematic dust that is leading to the corrosion of important components which means damage to critical equipment. This is not only frustrating but expensive on many levels. The best way to ensure your data center stays clean is to limit and control what comes in from the outside. Only a true “clean room” needs things like shoe covers but that does not mean that other rooms in a data center should be neglected just because they have not been specified as “clean rooms.” A data center should be cleaned only by professional data center cleaners. The reason for this is that there are many critical things, both large and small, that could easily be damaged or compromised in some way if an inexperienced cleaner is used. A data center cleaner will be cleaning everything including things like floors, subfloors, cabinet racks, server racks, walls, ceilings and more. In a data center more than just dust accumulates. Chemical residue tends to accumulate as well. This could be seen or unseen which is why it is important to use a professional. Even microscopic dust or chemicals must be removed to ensure a clean data center. Dust and particulates, when left to accumulate or simply unattended to, can interfere with critical functions and lead to data loss and media errors. 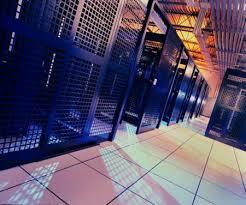 Particulates can settle or move, migrating to different areas of the data center to cause major problems. If they make their way into air ducts they will simply be recycled into the room and continue on their path of destruction. Any time this happens, critical information could be lost and networks could experience downtime. As we all know, downtime can be incredibly costly, even if it only lasts a matter of seconds so regular cleaning is very important to prevent this from happening. In addition to having a yearly deep cleaning and regular maintenance cleaning, insist that those entering the data center wear clean clothes or cover ups so that you can best protect your data center. This entry was posted in computer room maintenance, Data Center Construction, Data Center Design, Facility Maintenance and tagged data center design, data center maintenance. Bookmark the permalink.